Apple has announced its biggest executive shakeup since Steve Jobs stepped down as CEO. The biggest surprise is the departure of Scott Forstall, a longtime Apple executive and the senior vice president of iOS Software. Forstall was the major architect of Apple’s mobile software and had been tipped as a possible future CEO. He will be leaving the company next year. He is serving as an advisor to CEO Tim Cook until his departure in 2013. The other big surprise is the departure of Apple’s newest executive, John Browett, head of Apple ‘s retail division. Browett is leaving after running Apple’s stores for less than a year. As part of the reshuffling, Apple’s head of design, Sir Jonathan, gets a major promotion. As well as leading Industrial Design, Ive will also run the company’s Human Interface department. Ive will be in charge of the all-important product interfaces in both hardware and software, a role previously fulfilled by the late Steve Jobs. John Browett was heavily criticized for some clumsy decisions in retail and his departure is to be expected, although it still feels a little soon. Apple brought on the former Dixons CEO back in January, and he has since undergone much scrutiny for creating unsatisfying working conditions and suffocating retail morale among employees. Browett was hired to replace Ron Johnson, the much-lauded former Apple executive who created Apple’s retail division with Steve Jobs years ago. Apple is now looking for a successor to Browett. Tim Cook will be put in charge of retail until someone is found. 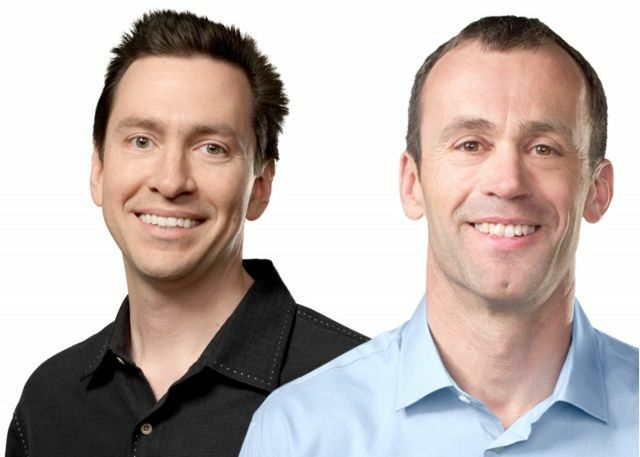 Scott Forstall leaving Apple comes as more of a shock considering that he has been with the company since the days of NeXT with Steve Jobs. After Jobs left and Tim Cook took charge, Forstall was seen by many as the next would-be CEO. According to sources, his “fiery” personality made him hard to get along with, but his talent as a leader was unquestioned. For the past several years, Forstall has been leading the development of Apple’s cash cow, the iOS platform. He lead the development of the new Maps app, a product that has caused public embarrassment for Apple in recent months. Forstall will serve as an advertiser to Cook for the remainder of the year. Craig Federighi, the face of OS X at Apple, will now also be in charge of iOS. Bob Mansfield had planned to retire months ago, but Apple brought him back and gave him an ambiguous title. Now it all makes sense. This executive shakeup has been in the works for quite some time. CUPERTINO, California—October 29, 2012—Apple® today announced executive management changes that will encourage even more collaboration between the Company’s world-class hardware, software and services teams. As part of these changes, Jony Ive, Bob Mansfield, Eddy Cue and Craig Federighi will add more responsibilities to their roles. Apple also announced that Scott Forstall will be leaving Apple next year and will serve as an advisor to CEO Tim Cook in the interim. Apple’s leadership page should be updated shortly to reflect the changes.